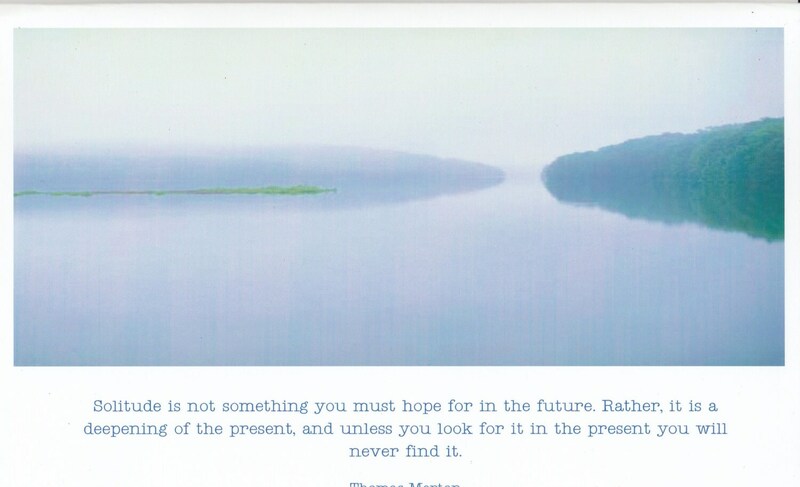 I love this quote by Thomas Merton. It goes so well with this photograph. I don't know about you, but I require time alone to restore myself. I'm a caregiver to the elderly with dementia as well as training to be a hospice worker. I must find time to sit alone so I can be of comfort to them. Each card measures 5' x 8" and comes with a white envelope in a cello sleeve. Suitable for framing.